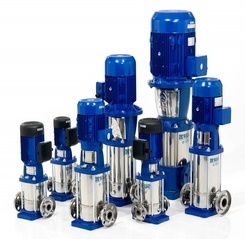 Goulds Pumps e-SV Series Stainless Steel Vertical Multi-Stage Pump. The e-SV pump is a non-self priming vertical multistage pump coupled to a standard motor. The liquid end, located between the upper cover and the pump casing, is held in place by tie rods. The pump casing is available with different configurations and connection types. Why “e”-SV? “e” stands for the ultimate in energy efficiency, easy installation and economical operation - a new generation of vertical, multi-stage pumps that deliver outstanding performance and reliability. 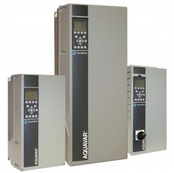 Developed based on intensive research into user needs, the new e-SV pumps are designed to extend uptime and help reduce lifecycle costs in a wide variety of demanding applications such as Water Supply and Pressure Boosting, Water treatment, Light Industry, Irrigation and Farming, Heating, Ventlation and Air Conditioning (HVAC).